June was good for books. I read three books during the month, and I acquired a great many more. 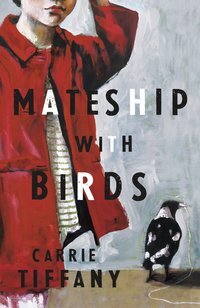 Lucy’s coming to town for the Melbourne Writers Festival in August, and a copy of this was floating about the office. 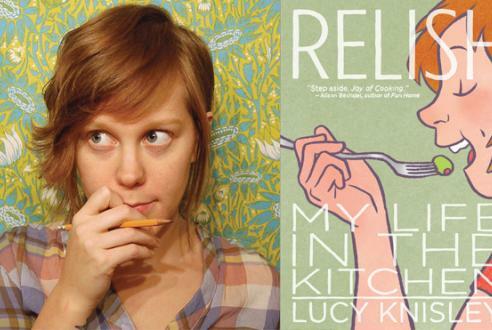 With a combined love of memoir and food, this book really spoke to me. The daughter of two foodies, Knisley combines recipes, travel stories, and coming-of-age memories in this gorgeously illustrated graphic memoir. Get on it – very fun. This first caught my eye for the cover design. It looks beautiful, but it also feels beautiful. Those scribbles are actually embossed so that it feels like someone’s picked up each and every book fresh off the printing press and done that design by hand. 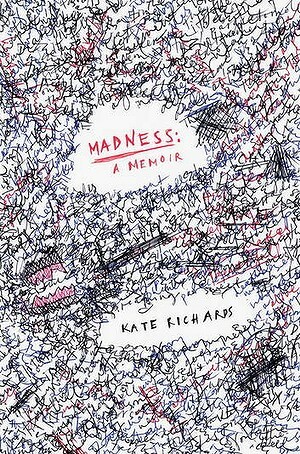 Like with Relish, I picked up Madness: A Memoir because it hit close to home. Between my mum’s and my experiences of mental illness, it’s always a topic I’m keen to read about. I guess the intangibility of mental illness means that it’s anything but universal, and every memoir or account that comes out of it will offer something different. Unfortunately, it’s also dangerous territory. Many mental illness memoirs only touch on the physical experience, and look no deeper. Madness really hit the mark for me. Kate Richards is medically trained, so she has a different understanding of her illness, and seems to understand that she can play a bridging role (between medical establishments and patients) that many psychiatric patients cannot. Madness managed to explain some things I’ve never understood about Mum’s experience, and prompted me to consider the role of writing as an advocacy tool. High-selling nonfiction books make a bigger dent on my radar than high-selling fiction books. So all the talk around High Sobriety earned it a place on the reading pile, and I was lucky enough to co-chair the #kydbookclub this month with Jessica Alice, discussing High Sobriety. Unfortunately, Australian politics exploded within ten minutes of the book club starting, but the discussion that did happen over the top of #auspol on Twitter was good fun, and interesting. High Sobriety follows Jill Stark, a newspaper health reporter, as she takes a year off booze. Like diet, drinking habits are deeply personal, and it’s almost impossible to read this book without weighing in on it somehow. As a not-particularly-heavy-drinker, I still had a lot of eyebrow-raising moments. Stark made me think about the cultural role of alcohol, and the things we take for granted that are actually a bit messed up. Customers divulge their book club secrets to me. I judge them. Harshly. How dare you? How dare you gather a group of people who are passionate about books, about reading, and not respect that sacred space by at least completing the book that’s up for discussion? Last night I went to my first book club, and I was that girl. Having spent the previous night cleaning for a late-notice house inspection, I didn’t finish the book. I got very close, but 15 pages from the end still isn’t finished. I carried the guilt in under one arm, and the book under the other. I still contributed. After reading like a writer for so long, this book club mode of reading strikes me as different. Not bad, but different. It’s luxurious. It relates to the content of the book on the same level that people in the world relate to other people in the world. We’re allowed to judge. Everybody nods. This is a valid observation. It’s been one of those months where the amount of books bought, borrowed and acquired have far outweighed the books I’ve finished reading. I’ve been plugging away at a great many collections and journals, reading a poem, essay or short story from each before I start my own work. This means I’ve read a lot, but I’ve only actually FINISHED reading two books this month. I’m going to blame this on the fact that it’s a short month. YES, those two (possibly three) days make a HUGE difference! The Perks of Being a Wallflower by Stephen Chbosky pissed me off sufficiently to warrant a rant. The other book I finished was a self-help book by Russ Harris (my self-help hero, because he writes stuff that works! ), called ACT With Love, about applying Acceptance and Commitment Therapy to relationships. I’m nearing the end of two books right now, so March promises more than 2 books read, for sure.